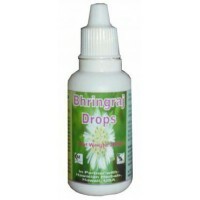 Bhringaraj has been used as an effective home remedy in India for centuries. It is a medicinal plant used in Ayurveda not only for the known benefits of helping with hair growth but for many other health conditions as well. Here are some key benefits of Bhringaraj (also known as Kesharaja). From centuries ago, Indians have used Bhringraj herbal powder or oil for healthy hair growth, natural colour to hair, prevent premature greying and for improving overall hair health. It is also a natural conditioner and a cooling agent for hair. 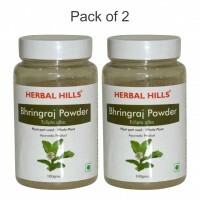 Bhringraj Powder helps for healthy function of liver. As liver is the controller of the metabolism of the body. Thus it improves the metabolism of liver and provides strength to the body by rejuvenating each and every part of the body. It helps for the digestion of “Ama” (undigested food). 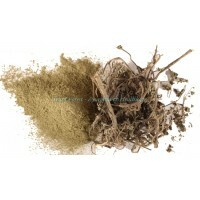 Bhringraj Powder helps in purification of blood. 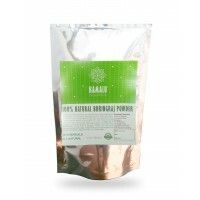 It helps promote lustrous complexion. It can be taken orally or applied on the skin directly in the form of a paste. It is believed that use of Bhringraj Powder improves the look and health of skin with the result it appears younger and healthy. 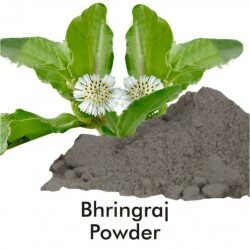 Bhringraj Powder also helps to cleanse and rejuvenate both the kidneys. It helps to maintain normal level of cholesterol as in normal healthy person. Powder of Bringraj is also effective in eye sight. 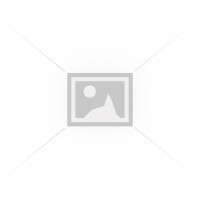 It helps to maintain normal body temperature especially in heat related problems. Bhringraj is considered as a rasayana (rejuvenator). It helps in rejuvenating the body and also in reproductive deficiencies. It helps in regulating diabetes since bhringaraj can stimulate secretion of insulin.